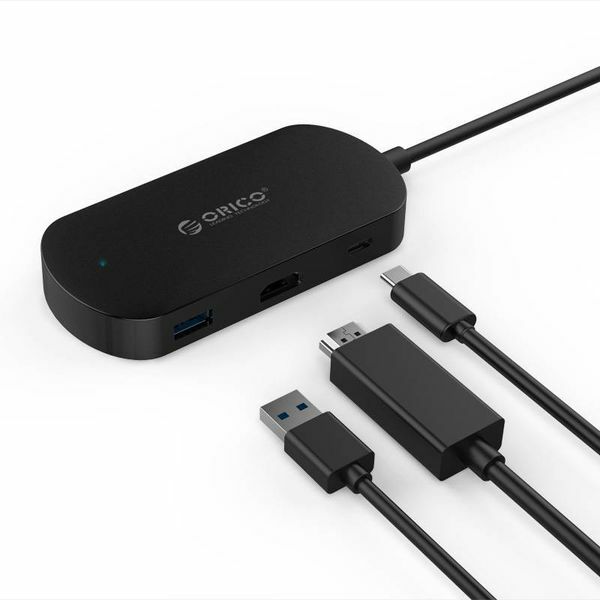 Create a Type-C port, USB 3.0 Type-A port and an HDMI output with this Type-C adapter. Can be used with any laptop or notebook that has a Type-C output. Includes Power Delivery. Do you have the latest MacBook or another laptop or notebook with Type-C connection and would you like to create an (extra) Type-A port and HDMI connection? 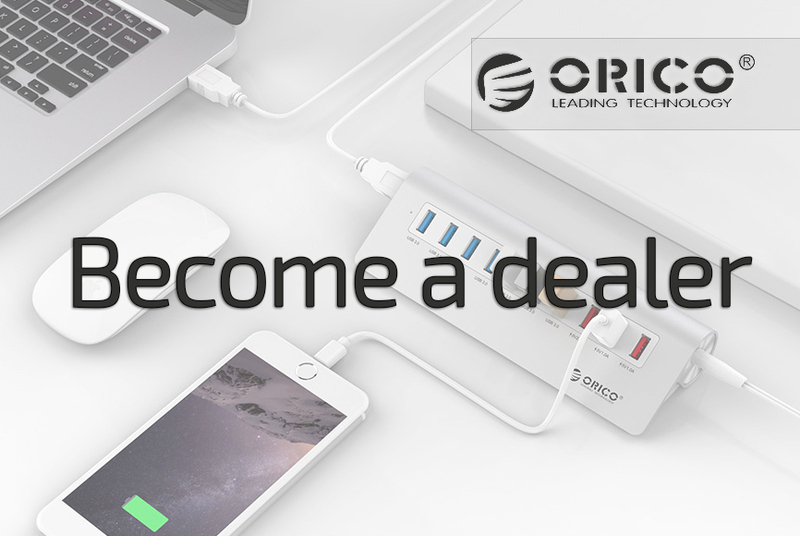 Then this stylish Orico adapter is the product you need. 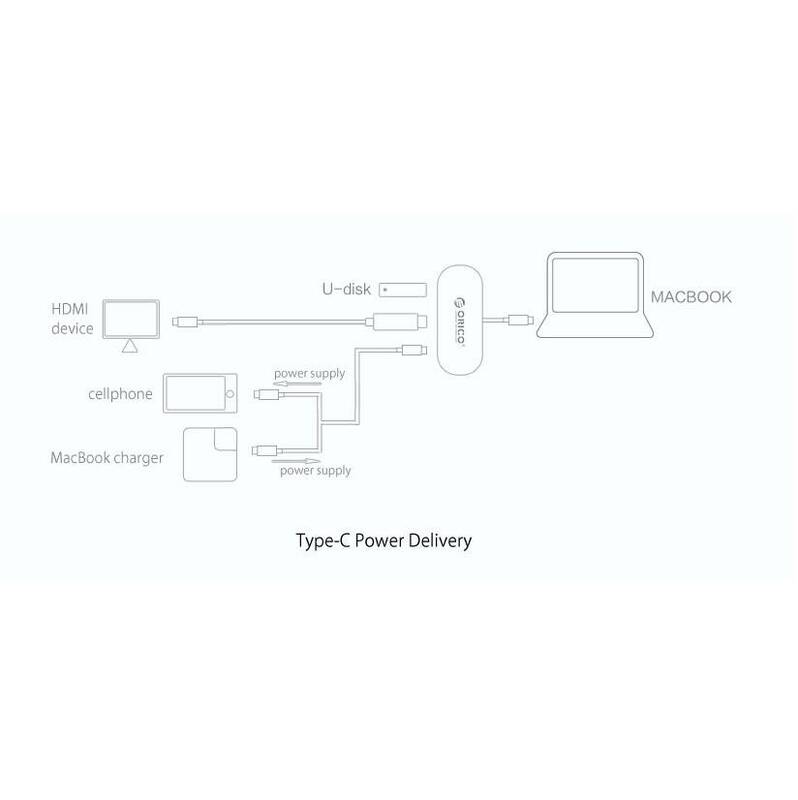 Not only do you create the above mentioned ports within a few seconds, you can also use Power Delivery. 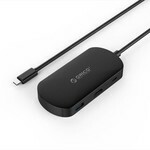 USB Type-C is the newest connection. It is intended that it will be the standard connection. 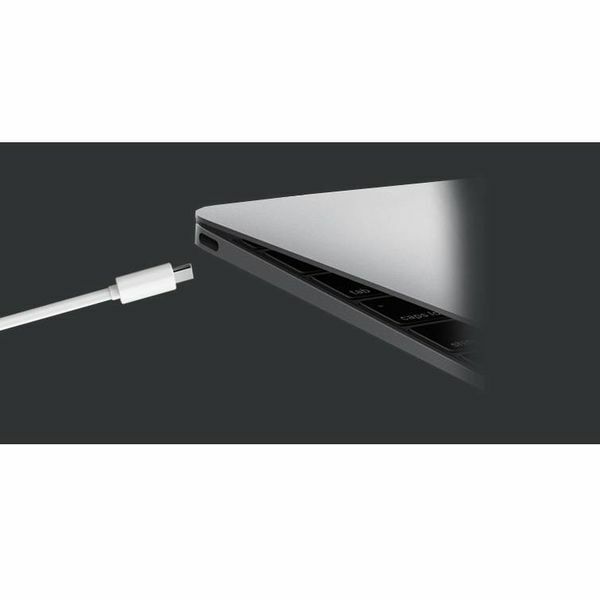 If you have a new MacBook or other notebook with only a Type-C connection, it is more difficult to connect peripherals. In most cases you still need a Type-A port. You can connect the Orico adapter to your Type-C port and create a new Type-C port again, but you also have a Type-A connection. You can connect a mouse, keyboard, smartphone or USB stick here. 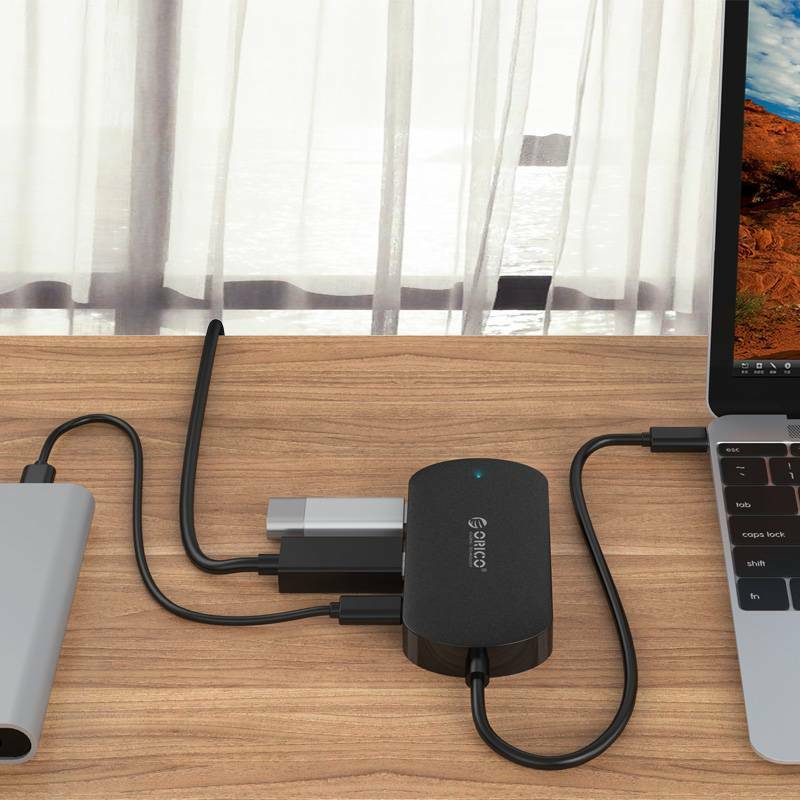 Because the adapter has the USB 3.0 technology, transfer speeds are achievable up to 5Gbps. 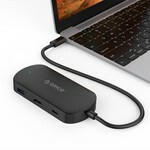 Thanks to the latest USB Type-C connection with PD function you can not only benefit from a fast transfer speed and charging from your laptop, you can also charge your laptop via the USB Type-C connection. 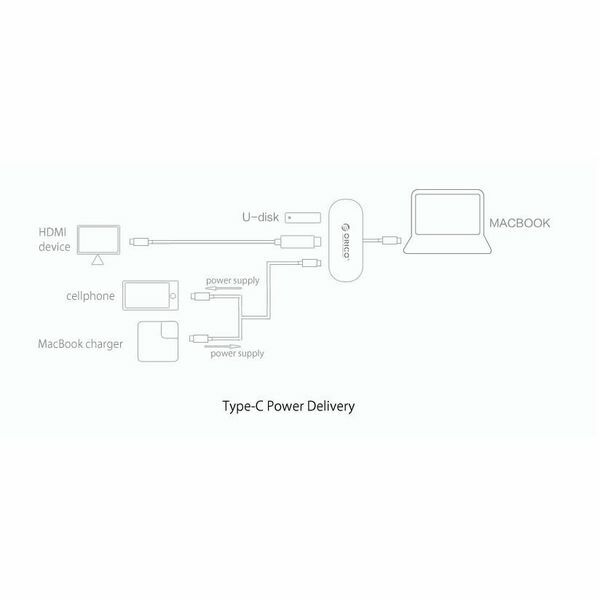 You plugged your USB Type-C charger (this is not included) into the Type-C adapter and the power supply is passed on to the connected devices and your laptop. Many new laptops with only a Type-C connection no longer have an HDMI port. 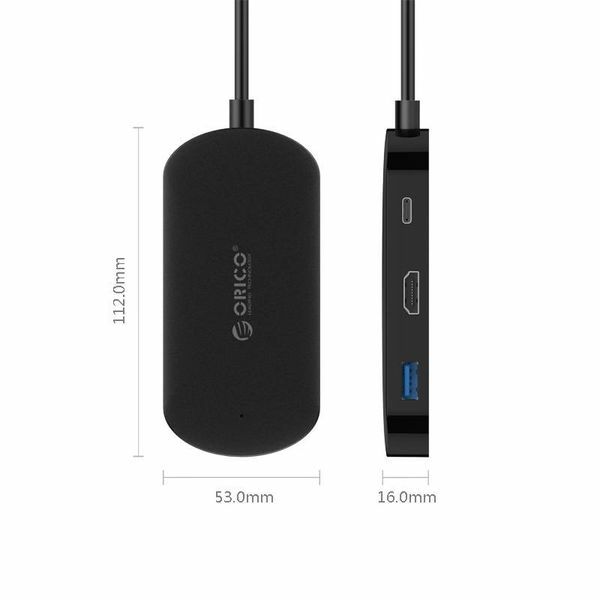 By using this modern adapter, you can use an HDMI port again. This allows you to connect your laptop to a monitor and enjoy images with 4K (Ultra HD) image quality. The Orico adapter / converter is very compact due to its light weight and dimensions. This makes it easy to carry in your pocket or bag to for example school or your work. The Type-C adapter also fits well in any environment. This is due to the luxurious satin finish on the side and the matte finish on the top. 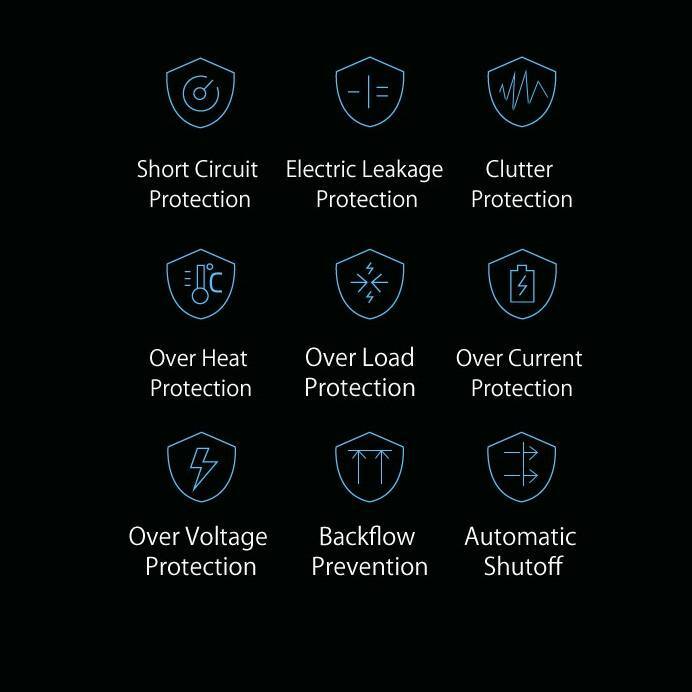 The black adapter is equipped with a multi-safety security system. 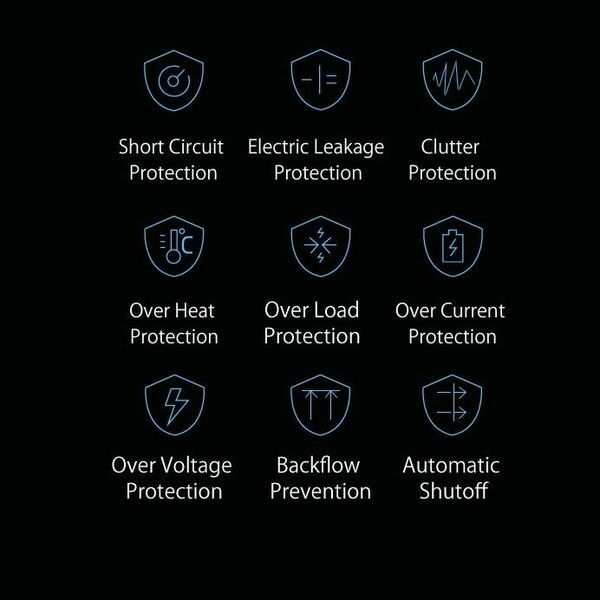 This means that it is protected against over-voltage, leakage current, short-circuit, overvoltage and so on. 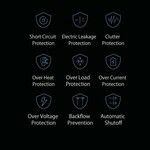 You can connect multiple devices to the outputs with peace of mind. 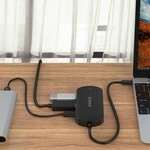 When the Type-C adapter is connected to a laptop or notebook, an LED indicator lights up. This means you know exactly when the adapter is doing its job. A variety of Type-A and Type-C devices can be connected to the adapter. Think of your phone, but also peripherals including a keyboard, digital camera, mouse, USB stick and printer. Via the HMDI 4K port you can see images from your laptop on a larger monitor in 4K resolution. ✔ Output: 1x Type-C, 1x USB 3.0 Type-A and 1x HDMI 4K. ✔ Input: 1x USB 3.0 Type-C.